Definitely the best filament I’ve ever purchased! The color and quality is always consistent and well made. 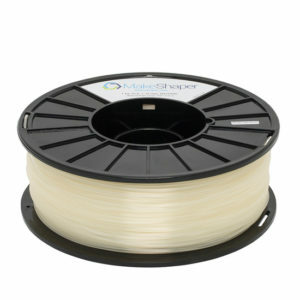 I’ve purchased over 100 spools of Makeshaper filament and absolutely love it. Best way to get the most out of your FDM printer. I started running MakeShaper filament in my ROBO 3D in March 2016 and it is now all I use. It runs really well – have never had a problem. This product has used in my classroom over the past two years and I love it. The material is very stable and sturdy, I have not had any problems with the printability of the product. I like to use the White or the natural color due to the fact that these can be colored using sharpie markers. The product also has many other colors that can be ordered which allows you to customize the item you are printing to match school colors or business color schemes. 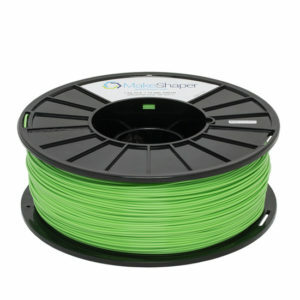 Prints fine and the 5kg spool is very convenient. They were able to ship overnight for a rush job. A beautiful finish after this has been printed. If you print this to a glass build surface the finish is so remarkably smooth and reflective. 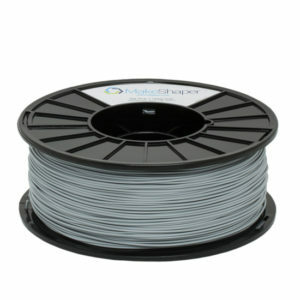 The filament diameter does not vary outside of .02 + or -. 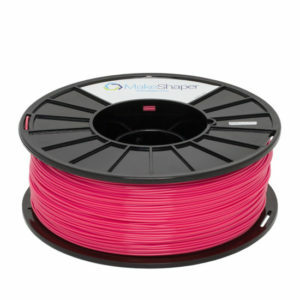 I am going to use this filament again soon. 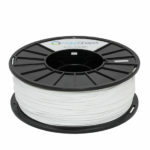 I have been using both PLA and ABS in our Fusion3 F400 machine for over 6 months. 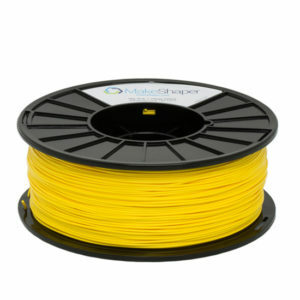 It has been and continues to be a great filament with great results. In addition to the filament, the customer support from MakeShaper has been super.